Princess Eugenie shared an adorable picture from her wedding. 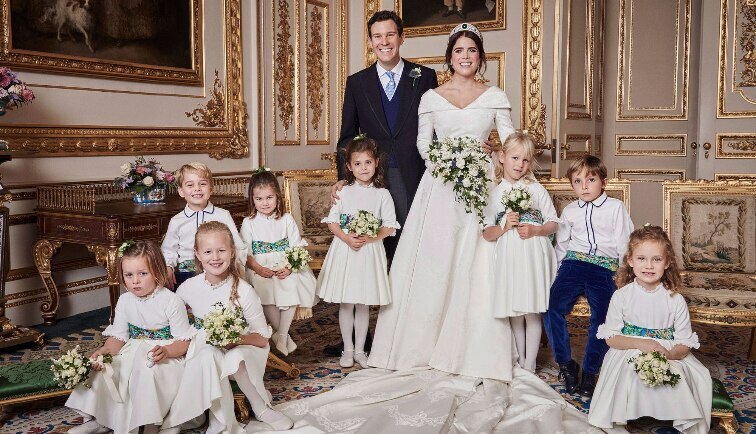 The newlywed Princess Eugenie shared a picture on her Instagram where her husband Jack Brooksband and she are seen having a candid moment with Princess Charlotte and other flower girls. On Friday, the princess tied the knot with Jack Brooksbank at the St. George's Chapel at Windsor Castle in a ceremony broadcasted live.